Given integers are 135 and 225 clearly 225 > 135 applying Euclid’s division lemma on 135 and 225. Here, remainder . So, we again apply Euclid’s division algorithm on division 255 and remainder 102 . Q.2 Show that any positive odd integer is of the form 6q + 1 or 6q + 3 or 6q + 5, where q is some integer. Sol. Let a be any positive integer and b = 6.Then, by Euclid's algorithm a = 6q + r, for some integer and where the possible remainders are 0, 1, 2, 3, 4, 5 i.e, a can be 6q or 6q + 1 or 6q + 2 or 6q + 3 or 6q + 4 or 6q + 5,where q is the quotient. If a = 6q or 6q + 2 or 6q + 4, then a is an even integer. Also, an integer can be either even or odd.Therefore, any odd integer is of the form 6a + 1 or 6q + 3 or 6q + 5, where q is some integer. Q.3 An army contingent of 616 members is to march behind an army band of 32 members in parade. The two groups are to march in the same number of columns. What is the maximum number of columns in which they can march ? Sol. 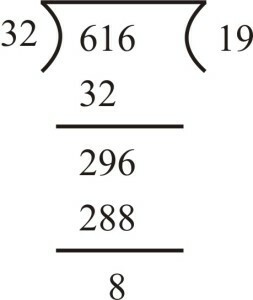 To find the maximum number of columns, we have to find the HCF of 616 and 32. Therefore,the HCF of 616 and 32 is 8.Hence, maximum number of columns is 8. Q.4 Use Euclid's division lemma to show that the square of any positive integer is either of the form 3m or 3m +1 for some integer m.
Sol. Let x be any positive integer, then it is of the form 3q, 3q + 1 or 3q +2. 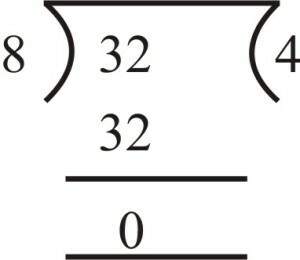 Now, we have to prove that the squre of each of these can be written in the form 3m or 3m +1. Q.5 Use Euclid's division lemma to show that cube of any positive integer is either of the form 9q, 9q + 1 or 9q + 8. Sol. Let x be any positive integer, then it is of the form 3m, 3m + 1 or 3m +2. Now, we have prove that the cube of each of these can be rewritten in the form 9q + 1 or 9q + 8.